If you're a hiring manager, you're not just looking for candidates that will fit in, you're looking for candidates that will go above and beyond for your company. 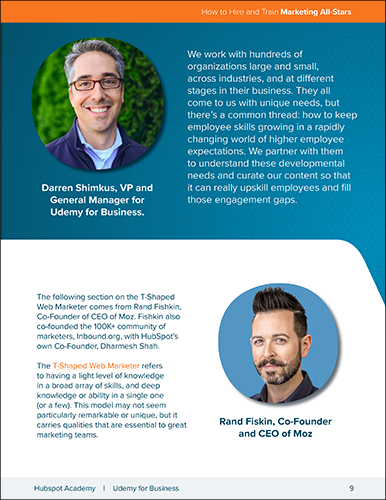 Marketing hires have a huge impact on the success of your brand, so it's important to attract and hire awesome people that know how to make your brand stand out. 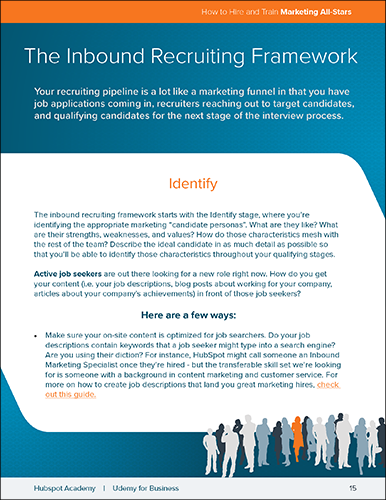 But finding well-rounded marketing candidates isn't as easy as it should be. 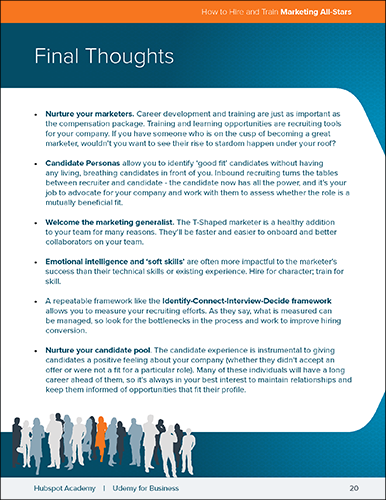 The scope of marketing is broad, which makes finding ideal candidates with both a breadth and depth of skills a major challenge for hiring managers. 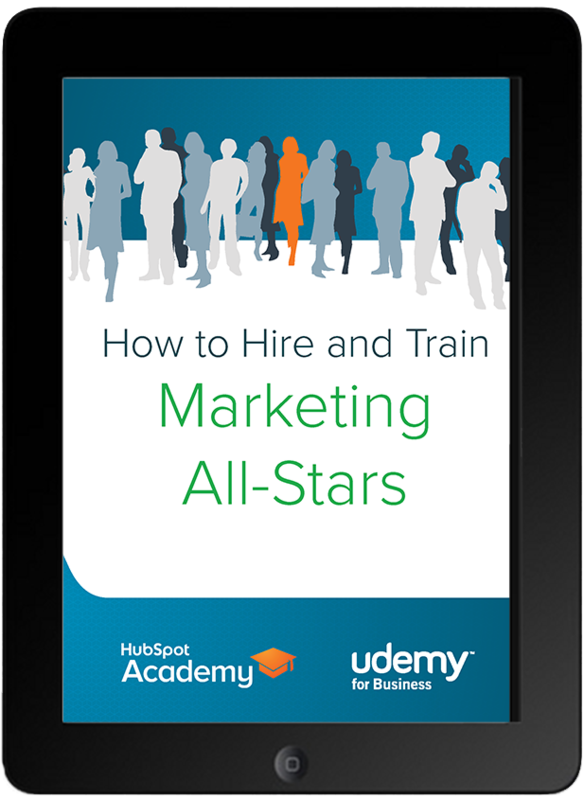 Luckily, HubSpot Academy & Udemy teamed up to bring you this free guide to make the hiring process easier on you. 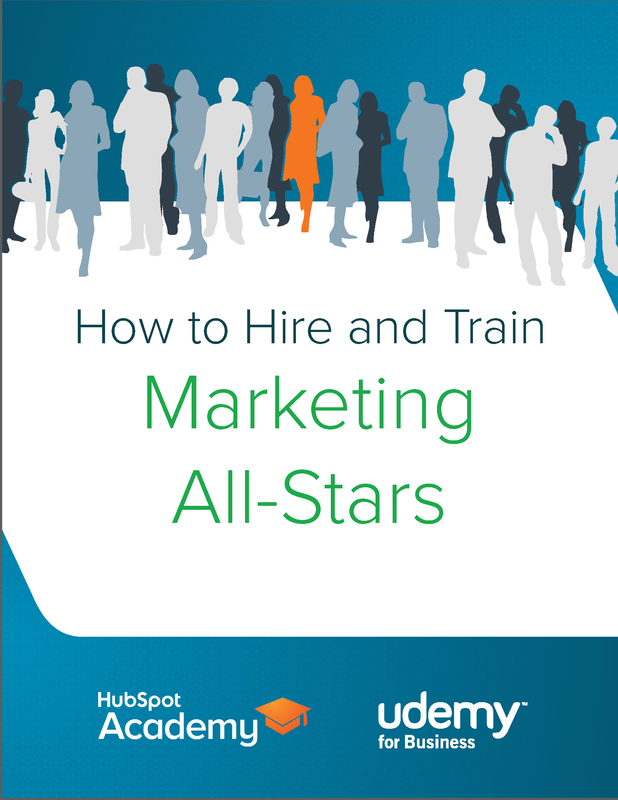 In this ebook, you'll learn how to spot top-notch marketers and reach your ideal candidates. But it's not enough just to recruit and land the right people. Great candidates are looking for what you can offer them in return. 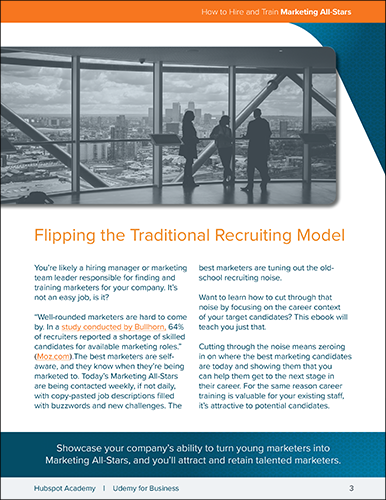 That's why this ebook will teach you how to deliver on your recruiting promises and set your new marketing hires up for success. By supplying your contact information, you authorize HubSpot and/or Udemy to contact you with further information. 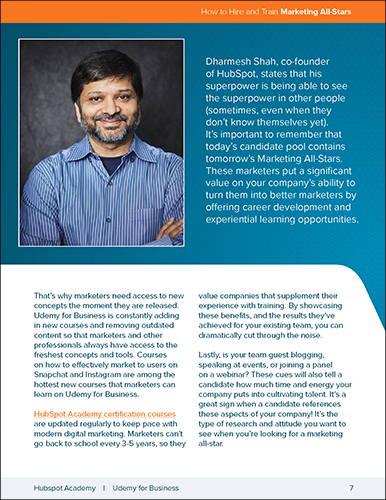 You further authorize HubSpot to pass your information to Udemy for these purposes.